Dell, one of the leading multinational companies, has not only embraced social media but has woven it into the fabric of the company, using the social approach for listening, learning and engaging with their customers. For Dell, social media is far more than a tool — it’s an extension of their brand. Dell has been performing a commendable job at listening to their customers by having an in-house command center which is an integral part of its Customer Support. In this interview, Ritu Gupta, Director, Marketing, Dell India, shares how Dell explores Social Media beyond marketing. What are the objectives behind Dell’s social media activities beyond marketing? Social media not only gives us the option to market ourselves, but also to engage with our consumers and understand what they are saying about us. We are able to do this better than before, thanks to social media and to all the conversations that are happening within that sphere. We seek to listen to them and engage with them in order to be able to serve them better, to further refine and polish our deliveries so we can help our customers. So, it is not only about marketing ourselves on social media, but about building a social business and not using it only as a marketing tool. How does Social Media support your broader business goals? To explain our broader goals, I would like to start from the beginning so you can see what we aiming to do through social media and build it back to how it helps us in our overall goal. We are one of those few brands that have our own social media listening command centre, which was established in 2010, and it is this command centre which puts us in the position to be able to monitor and listen to a lot of conversations. Whereas in 2012, it was done in the US and besides them, India is the only other country to have a command centre, started in 2011. We are using our tools on a daily basis and are listening to the reports and the conversations taking place. These conversations could be about a particular product or service. Through this, we can address them better and follow the problems for our customers quickly. Conversations could also be about certain ideas present. which are sent back to us so we know what we deliver is in line with what our customers are saying. This platform is available to all our customers to come across and interact directly with us. Social media also allows and enables us to see what kind of products are resonating with our customers and how our customers sharing this information within their own network. So it goes beyond just selling a product to them on a social media platform, and moves on to being more about the engagement and dialogue we want to have with our customers. This is where we use our heritage of direct customer connections and where we are using it as a strategic tool for doing better business amongst our customers. Social Media is penetrating through every department of Dell. So how are you evolving as a social business? Do you have an internal social network as well? We have our own internal chatter through which employees can share ideas and connect with anybody sitting in any part of the Dell world sitting across the globe. Dell has been doing a fabulous job with its customer support. So how do you integrate social media with CRM? If you look at CRM particularly in the B2C and B2B space, you will find that here is where we look at interacting and engaging with our existing client base, after a lot of initiatives on social media. So whether I talk about the CIO club or whether I talk about something as simple looking at it as a forum for customer support, which in my view is also one form of CRM, because you are able to reach out to people, people who are already our customers. Continuing with the CIO club, across all of these platforms are all the people that have engaged with Dell, Dell’s customers and we are able to reach out to them, and to share with them the happenings at Dell. In the CIO club, there are a lot of CIO’s who share their views, making it a platform they can use for thought leadership and a lot of content..
Do you have an in-house social media team? How do you train your employees for using social business tools? Yes, we do have an in-house social media team, and in fact we have a social media policy which can be considered the starting point. Dell encourages all its employees to be social media certified, and to use it the right way. Our entire training on social media is based on 5 key principles, that all our employees are expected to know and adhere to before they engage in any kind of an online conversations. These 5 principles form the basis of the training that the employees go through. So if I as an individual am promoting something about Dell on social media, then in the spirit of transparency and disclosure I must announce and disclose that I’m a dell employee. It is about following the law, following the code of conduct, not just globally, but nationally as well. Could you tell me about the social media campaigns that Dell India does? Dell’s philosophy has always been about helping customers do more irrespective of what their passions are. Dell promises the power to do more. We are creating solutions with our customers in mind and the whole purpose of this is to be able to deliver great experiences so that they can go out and pursue their passion. 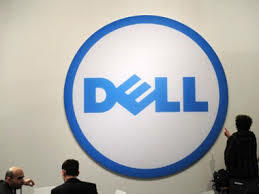 Dell has made strong efforts to ensure that the brand remains relevant so the world sees Dell as a consistent brand. And what I mean by that, is that our customers and their passions are placed at the core of our technology. All of this translates into what we call the achievement platform, which is where the Dell promises to do more. This emphasizes the company’s strong belief that technology can and does help anyone realize their dream, whether it is a young consumer, a teenager, a working professional or a CEO. So as part of the achievement campaign. we had a three piece interview where social media played a very, very important role. The campaign was spread across magazines, papers and the offline fair. But when it came to social media, the campaign was greatly amplified. Now let me tell you very briefly about the ‘Personal Achievement’ campaign. It aims to celebrate the achievements of our customers, but we don’t mean only our Dell consumers, we include any technology consumers that are out there because through technology they are able to realize their dreams. And we wanted to recognize their achievements and bring to light the role of technology and computers. We wanted to use the platform to engage with our consumers and not just have a one sided conversation. We wanted to listen to their stories as well. We created a microsite and invited stories from our users as to how technology had helped them realize their dreams and helped them realize their potential and their passion, following which we have close to 500 stories. We received unique consumer stories on how technology has helped them, or enabled them, to unleash their passion. Out of all the social media platforms you are on, which one is working the best at this moment? I would say all of them, because they each have a different role to play in our social media strategy. Whether it is Twitter where there is a different kind of environment and different kind of audience there, or Facebook, where the objective is to amplify the campaign and use it as a very active consumer support platform. So I would say that all the platforms that we are on is working for the objective that we use it for. Listening is one of the core company values of Dell. You guys lend your ears with your command centre but, what tools do you use to monitor these conversations? We use Application Metering Agent 6.0 to monitor conversations. How do you leverage the actionable insights gained from Social Media? As a part of the Social Media command center which utilizes the radiant technology, we monitor and get these results on a daily basis. As a top moving topic which is related to Dell, we see how they can be positive. We try monitoring that, and its assessment helps us identify what the issue could be, so that those actions can be sent back to the internal team and they can work to solve that particular issue quickly, or it could also be about some topic which is being discussed, which would help Dell respond to that particular conversation. It could be happening in terms of repetition management, or it could also be about picking up ideas, listening to our customers, listening to their feedback and taking corrective action or using those insights for our own product development. So I don’t know if you are aware but an interesting thing that I can share with you is the Back Flip keyboard, which is one of the features that has been integrated into our PCs after listening to a lot of conversations. People actually told us about they didn’t like working in low light which was when the whole idea of creating the Flip Board came in. That’s something in the genre of product innovation and product design. So there are a whole lot of forums that we can use to monitor what is happening on social media for actions internally. How do you evaluate your social media performance? What are the key points of performance indicators that you might be monitoring? Measuring ROI is important but I think that we need to shift from being too short-sighted about ROI and think more broadly about business value, brand value and customer value. However, when we look at measuring ROI, we know that social media is an important decision factor, and plays a very important role in decision making whether it is consumer space, the B2B space and is not just about measuring awareness levels, sentiments, the positive and negative responses, but about making sure how you are actually able to add value to every point. Do you have B2B or B2C sales through social media? We are looking at high customer value to demand generation. So it’s not a business, nor a category where decision making is impulsive, but it is a high involvement category. So the whole aspect of looking at engagement and looking at demand generation, lead generation and then linking it back to higher revenues holds good both for the consumer and the B2B. What percentage of your budget is allocated to your social media activities? I won’t be able to share a number with you, but we have a significant focus on Social media and the campaign that I spoke to you about. ‘The Personal Achievement Campaign’ over the years has been the highest investment on social media we have made, for a particular campaign and I see that trend only continuing and will only double-up with what we used to do earlier. What does your social media policy entail? As I had mentioned earlier, it is the 5 keys which we kind of work with. It is about protecting information, being transparent, following the rule and following the code of conduct, being responsible and having nice clean fun. How do you see the scenario of Indian Social Media panning out in the next five years? I think it is a very dynamic world out there and the number of people in India that are contributing to social media has been significant and faster than any other part of the world. I would even say that in the Dell world, we have a huge base across social media. If I were to give you an example, I would be really happy to share that India leads in the Dell world and this is an indication on how the Indian social media is very dynamic. In our community we reach out to a whole lot of people to share ideas and views. Social media has become a platform where people can encourage entrepreneurial skills. So you have a whole lot of enterprises that are based on social media, which has given us the platform to get out there and take risks, and five years ahead I only see it unfolding and growing further. Dell uses Social Media not only to market themselves, but for building a social business and not using it only as a marketing tool. Dell is one of those few brands that have their own social media listening command centre, which was established in 2010, and it is this command centre which puts us in the position to be able to monitor and listen to a lot of conversations. Besides US, India is the only other country to have a Dell command centre. Dell encourages all its employees to be social media certified, and to use it the right way. Dell uses listening to picking up ideas, to listen to customers, listen to or use those insights for their own product development. Ritu shares that, Measuring ROI is important but I think that we need to shift from being too short-sighted about ROI and think more broadly about business value, brand value and customer value. When Dell looks at measuring ROI, they know that social media is an important decision factor, and plays a very important role in decision making whether it is consumer space, the B2B space and is not just about measuring awareness levels, sentiments, the positive and negative responses, but about making sure how you are actually able to add value to every point.